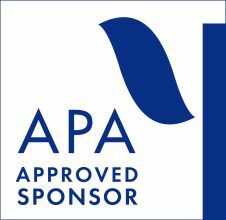 The California Psychological Assn (CPA) is approved by the American Psychological Association to sponsor continuing education for psychologists. CPA maintains responsibility for this program and its content. The California Psychological Assn is authorized by the Board of Psychology and the Board of Behavioral Science to approve CE Providers. If you or your organization is interested in becoming a CPA Approved CE Provider, go to CPA's Office of Professional Development. The California Board of Behavioral Sciences accepts continuing education credit granted by the California Psychological Association or by any of its Approved Providers. For a list of approved CPA CE Providers go to CPA's Office of Professional Development. The California Board of Registered Nursing accepts continuing education credit granted by the California Psychological Association.